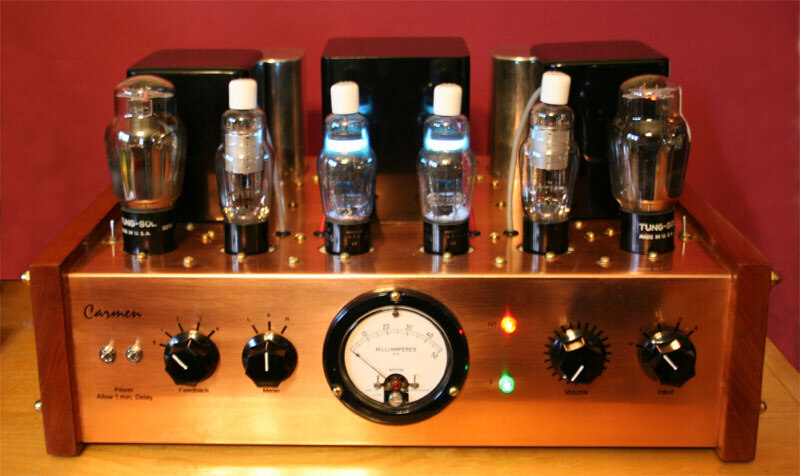 output tube. 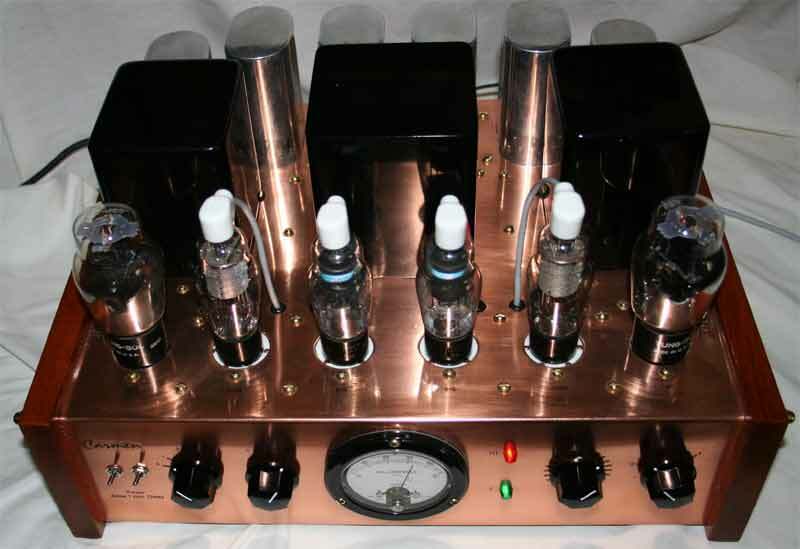 It produces about 2.7 watts per channel in pentode mode, a little less in triode mode. 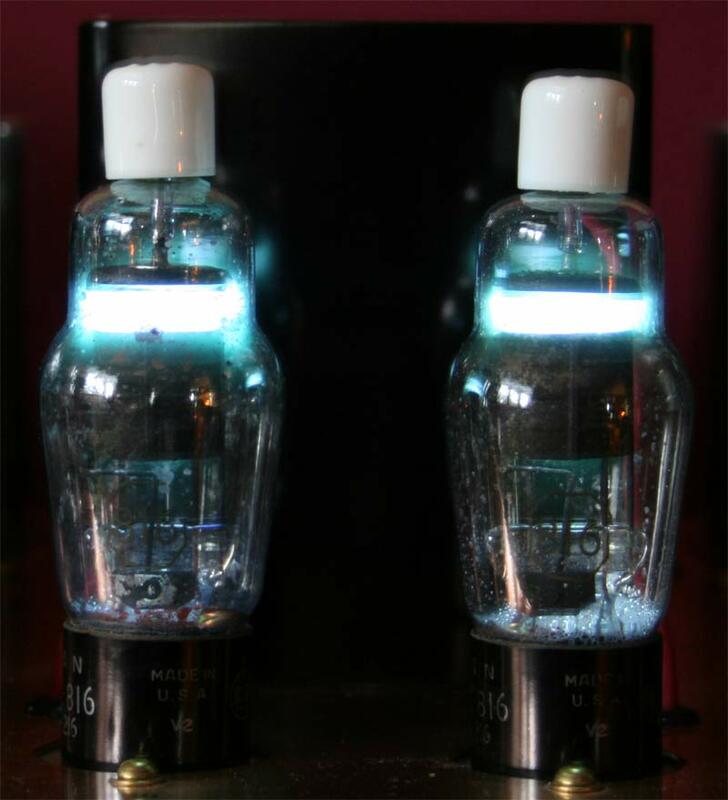 OK in triode mode, but pentode requires a bit more. I think it's something I'll play with for a while. transformer the amp could use 6C6s instead. left or right position), volume control and input selector. The two pilot lights indicate filament power and high voltage. coat of clear lacquer over the whole thing. 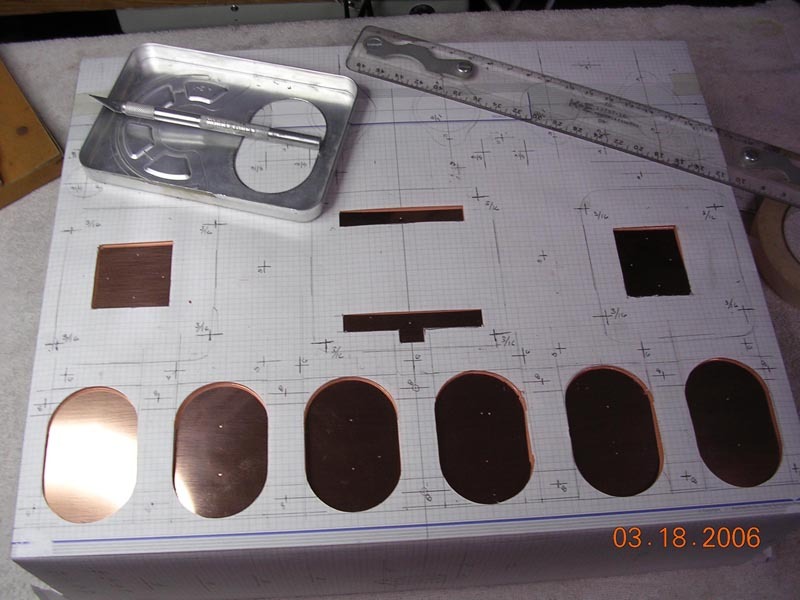 with a chassis punch as were all of the oval holes which were hand finished with a nibbler and a Dremel tool. I cut the rectangular holes with a nibbler. 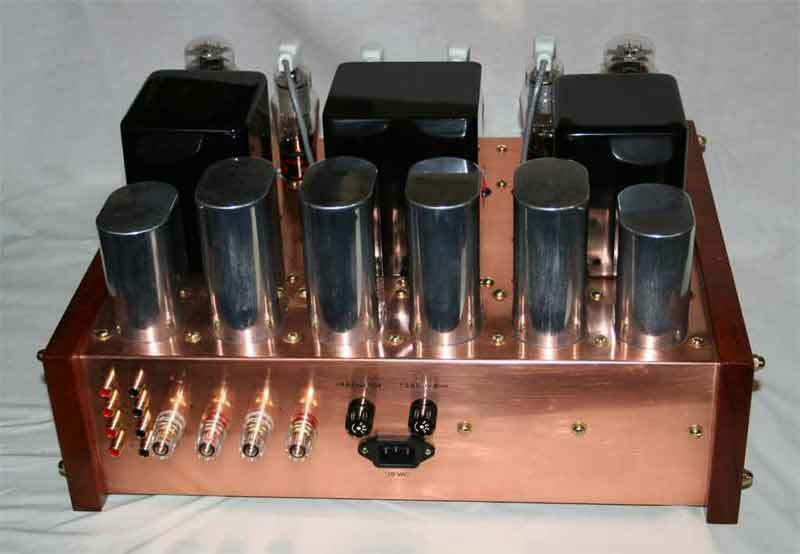 The circuit for this amp was given to me by a friend who asked that I not publish it, so I'll honor his wishes. 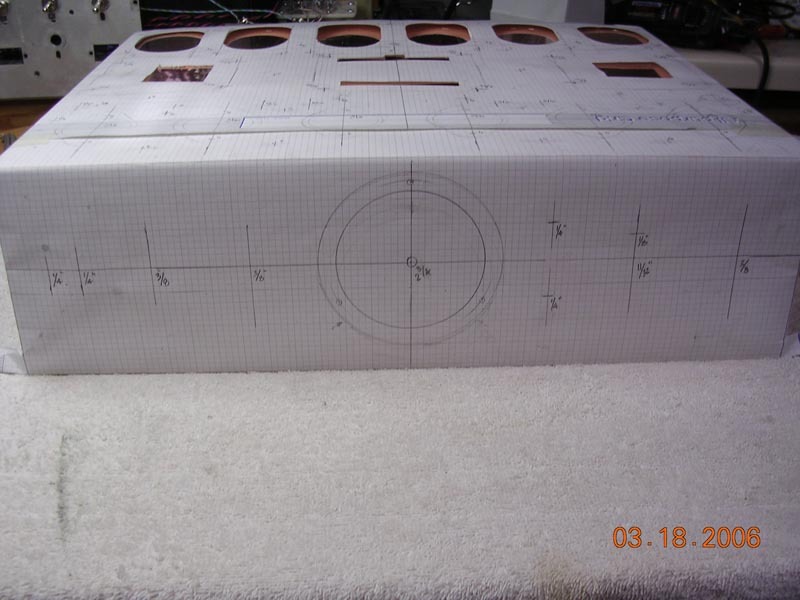 Here are a few more photos of the amp in progress. with 2000 grit lubricated with water. 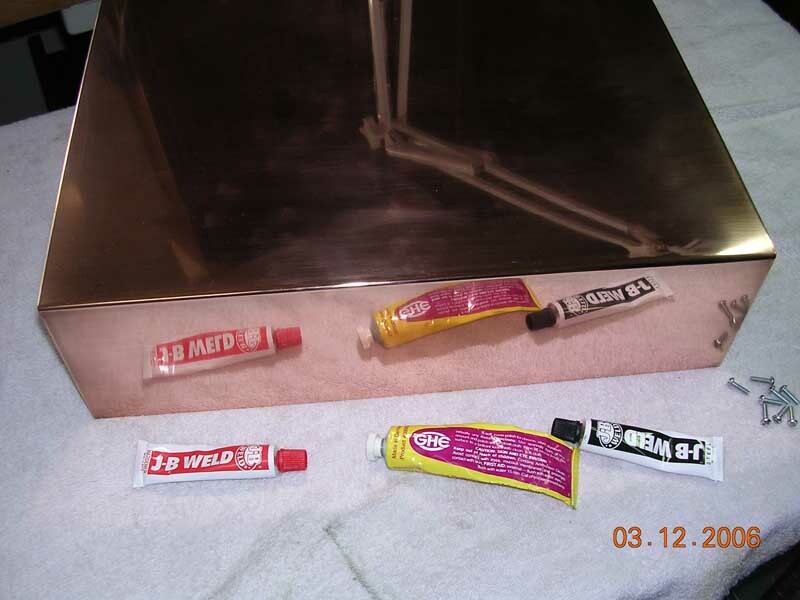 I then polished everything with automotive polishing compound after I cut all the holes. 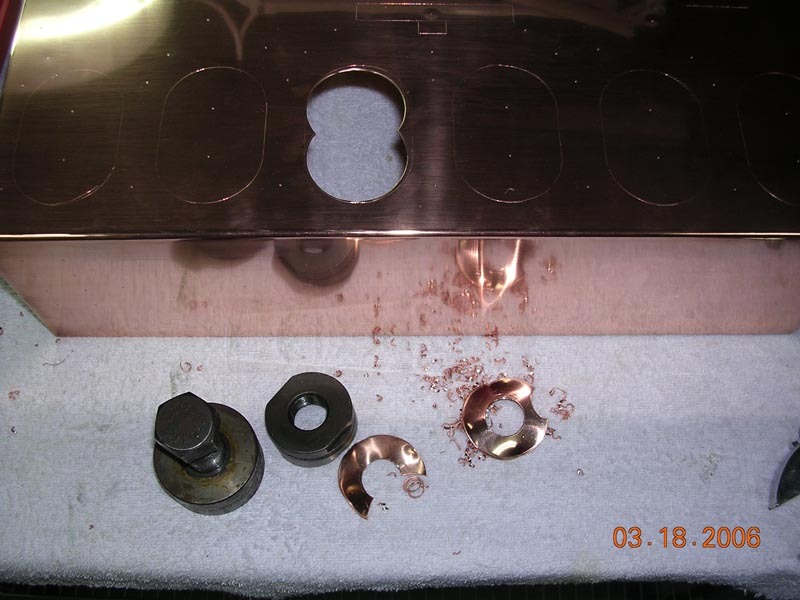 Clear lacquer prevents the copper from tarnishing. The mahogany side panels are also finished with clear lacquer. 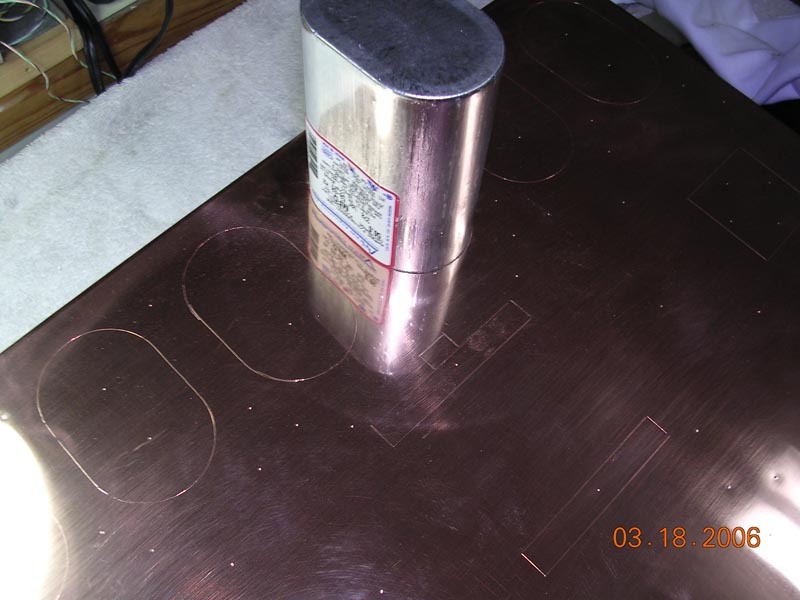 marring the polished copper. I use an automatic center punch to locate all the holes for drilling. Cutting the oval holes was tricky. I used chassis punches and a nibbler with a Dremel finish. 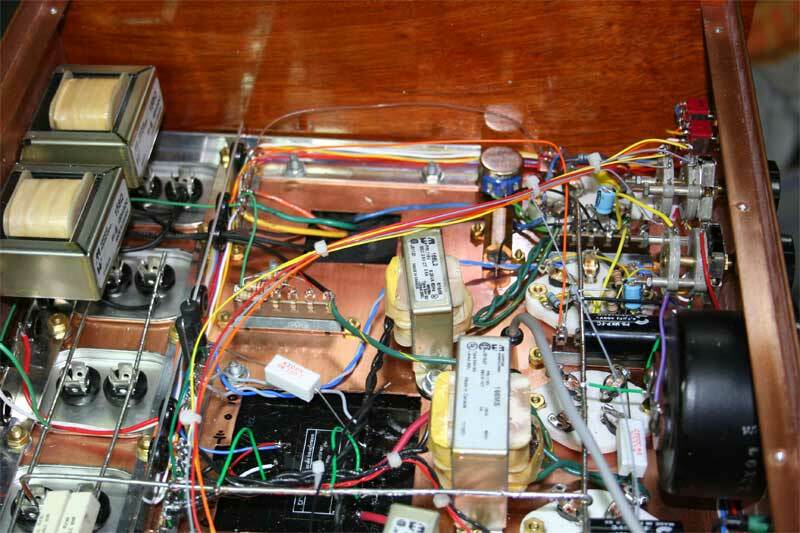 Here's a shot of the inside of the amp. Lots of wiring! Here's a shot of the 816s at work. Love that blue glow! just a touch of feedback applied. 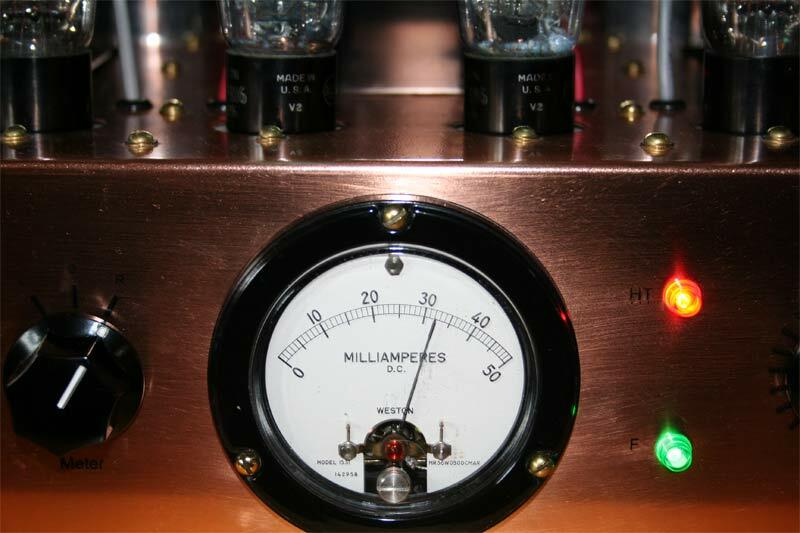 Here's the vintage Weston milliamp meter showing 32mA on the right 47. 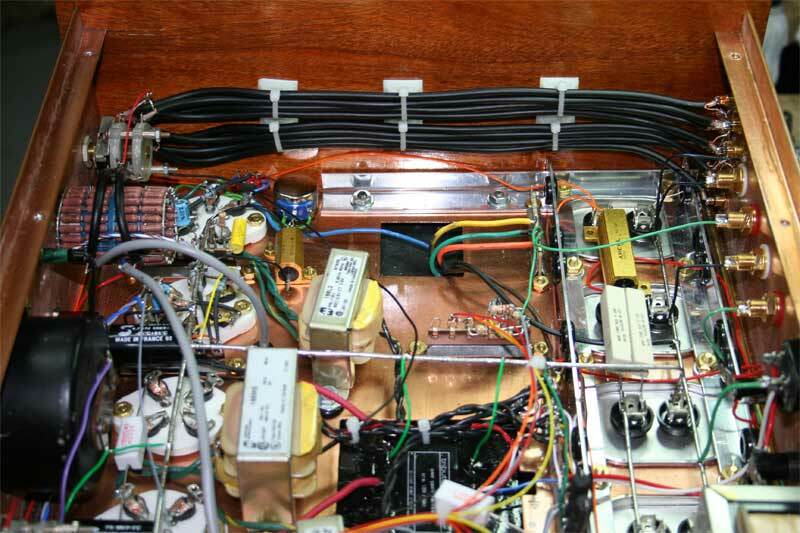 Here's a shot of the rear of the amp showing the input jacks, speaker terminals, mains and B+ fuses and IEC connector.